I love all things Claudia Black, Bridget Regan, Craig Horner and Ben Browder. I write fanfic for Stargate SG1, Farscape and Legend of the Seeker. 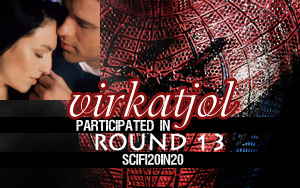 My fic is archived HERE There is a ton of LOTS and a smaller mixture of the others. I also love horses. I own 6 riding horses and a share in one racehorse. She's an epic diva and I am hoping that she finds the winner's circle this summer. She's been 2nd 3 times and 3rd once. Plus a couple 5ths and a 6th. 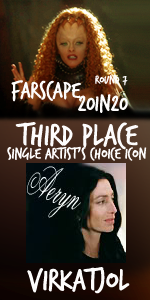 John/Aeryn Farscape Mood theme by everythingshiny Want it for yourself? I'm sure you do. 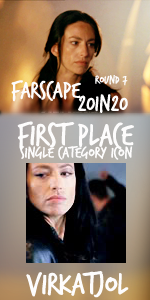 I guess I'll share John/Aeryn Mood Theme Make sure to give credit if you take!